We are new to Facebook and will be posting all sorts of news, photos, tidbits and more there. Check us out! I've been hearing about this interesting Facebook page called Abundance - Hawaiian Sust_AINA_ble lifestyle. You might consider joining it. (If you cannot get that link, search the page's name at Facebook). E komo mai (Welcome!) Join us as we find the best markets, farms, food and sustainable life in Hawai'i Island aka The Big Island of Hawai'i. There are great articles, videos, notes about "green" things happening on the Big Island, and a real sense of community is forming there, too. I'm going to follow along. See you there! 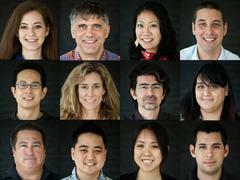 Do you know about Pierre Omidyar's new online news organization out of Honolulu? It's called Civil Beat, and it just went online this week. Welcome to Civil Beat. We’re glad you decided to join us. I’d like to tell you about the journalism you can expect to find here from our team of reporter-hosts. It’s different. And I’m excited to begin talking with you about it before we start publishing articles on May 4. We start this news service with the belief that we’re here to serve you. That means our daily work is to ask the important questions citizens might have in the face of the complex issues facing our community. And to answer them in a way that helps members reach an informed opinion, based on our reporting and the discussion that will take place as we together create the new civic square. You’ll find that our initial coverage is centered around five fundamental beats: Hawaii, Honolulu, Education, Land and Money. For each of these coverage areas, we have identified critical issues – and now that you’re here we hope you’ll help us sharpen our focus. I love that they are thinking differently, and providing "topic pages" that lay out background and context about the issues they then report about, and that there will be conversation. How will they make money? It's by membership. Anyone can roam around the site, but to delve more deeply into the content you'll need to be a member. Right now they are offering a discount on the first month's membership. Normally it's $19.99/month, but if you sign up now you get the first month for $4.99. I'm going to join.